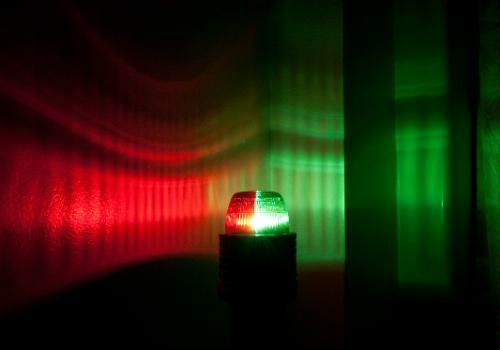 Are you needing some navigation lights for your next boat outing. Here are some ideas for playing it safe next time you out sailing or kayaking after dark. These lights are portable and easy to mount both permanently or temporarily. They are somewhat inexpensive and give out great light. They do say these lights are for boats less then 23 feet. This review will be largely similar to the white stern lights, since they are equivalent in every way except 1) this lens is red and green, and 2) this light includes a C-clamp in addition to the suction cup. 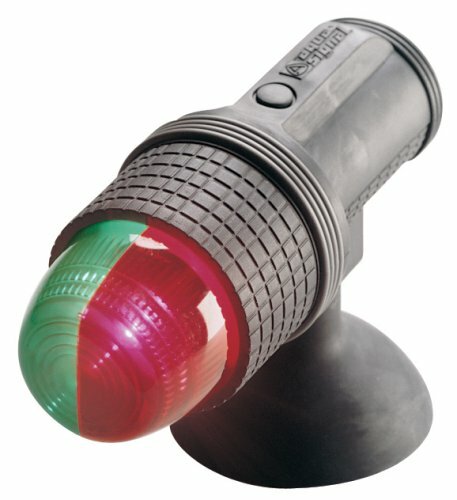 So I ordered four of these in total, for two kayaks: two red/green bow lights (these lights), and two white stern lights. I spent the next couple of days trying to figure out how to mount the lights before they actually arrived. My reasoning was that there was no way I’d be lucky enough for these suction cup mounts to actually stick to our plastic kayaks. Surely that would only work on the fiberglass models. So with expectations firmly in check, I came up with a couple of decent, but not perfect, temporary solutions involving the deck rigging and maybe a carabiner or two. Well, then they arrived. I put the batteries in one and turned it on. It’s bright! Good! Not quite as bright as the white light, but that’s to be expected since the lens on this one is colored, and the lens is clear on the other one. Now how to mount it on the kayak… In my garage, I stuck one on to the Old Town kayak. Much to my surprise, the force of suction was so strong that I couldn’t just pull it off! I had to peel the suction cup base up a little to kill the vacuum. Then I tried it on the Necky kayak with the same results! This is great — they stay on with such force that I have no problem using them without rigging or anything else. Both of my kayaks are hanging sideways on the garage wall, and the suction cups will hold indefinitely with the lights hanging sideways, parallel to the ground! I have added an image of the light doing just that. 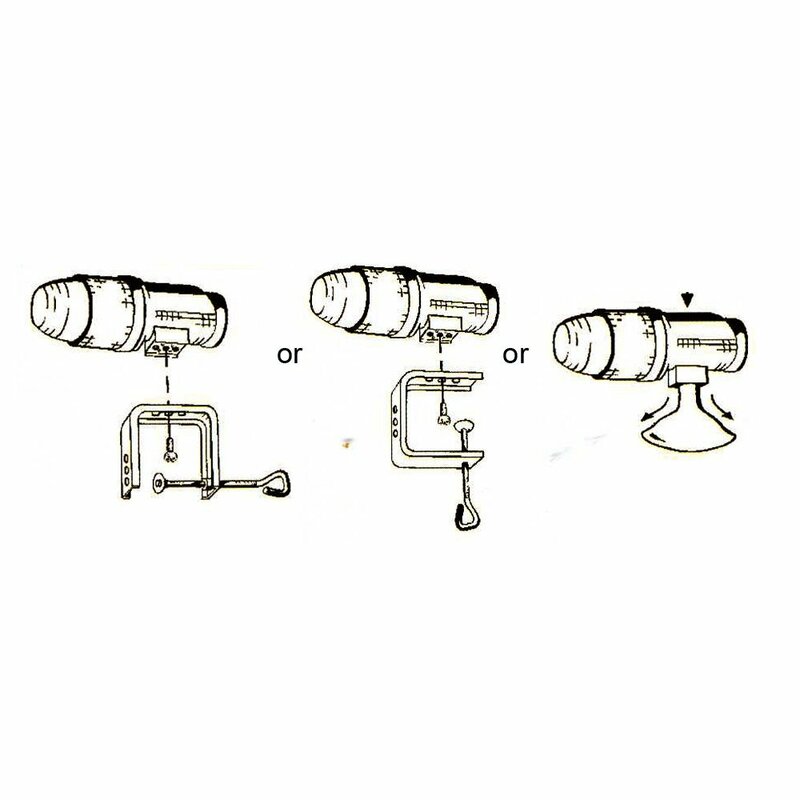 Note that the light can be mounted either horizontally or vertically – there are two set of screw threads to attach the suction cup to, one on the bottom of the light and one on the side. The C-clamp that comes with this one…. well, let’s just say that it doesn’t serve a purpose for me, since these suction cups are so strong. However, if you prefer the clamp, it is pretty strong and mounts solidly to the light. Luckily it can be removed, and the suction cup can be used in its place. The lights have proven their seaworthiness. They are waterproof. The manufacturer claim is that they float. I have no reason to doubt that claim, but guess what? They don’t come off the kayak unless I want them to, so I don’t know! Ha! With 4 AA’s, they’re sure to last a good long time, too. I’d recommend getting alkalines or lithiums (GASP! I never thought I’d say that) over rechargeables, only because with infrequent use, the NiMH batteries tend to self-discharge over time, and you’ll have to keep recharging them before every outing. If you don’t mind doing that, then it’s cool, but I already have to charge my GPS batteries, walkie batteries, camera batteries, flashlight batteries, etc., so I’ll stick with the alkalines so I don’t have to recharge an additional 16 batteries (remember, 4 lights!) every week or so. Lastly, if you’re going to have these out in the sun a lot (why? ), or if you’ll be using them in saltwater, the manual recommends using a silicon spray protectant of some kind to keep it in good shape, and give it a thorough washing after use. Probably a good idea – salt water destroys everything. Oh, and take care with the top when installing the batteries. It only goes on one way, and there’s a tab that fits into a groove in the base. Don’t go trying to force anything or you might damage it. Here is a video from West Marine about navigation lights. It’s not budget stuff but a good review of what they have to offer in boat lights. Speaking of lights did you see Megan’s post of the LuminAID Solar-Powered Inflatable Light? 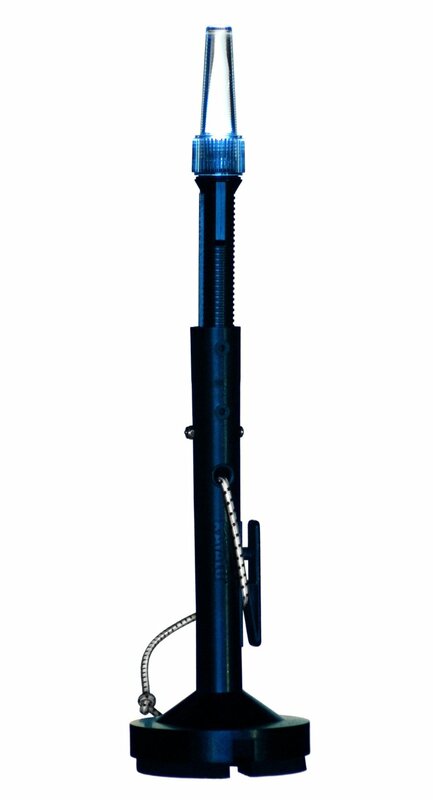 This is a great light and would work for all sorts of situations. OK night sailors. Just some simple ideas for lighting your way. Be Safe and keep the lights on.